BKLYN1834 is a melting pot of talent. 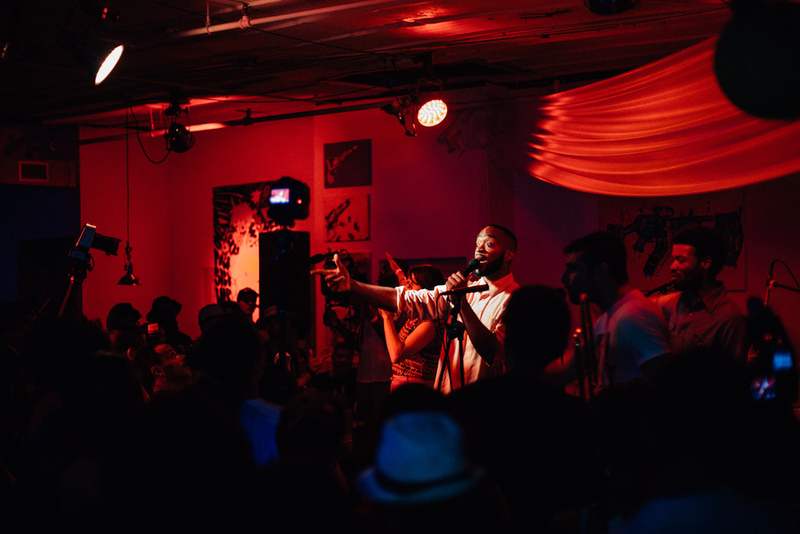 The co-op style breeding ground for art allows emerging acts and creatives to pool their talents together for unorthodox collaborations. Premiering exclusively on Billboard, BKLNY1834 is rolling out their compilation, Comp_01, which included buzzy up-starts like Cade Sadler, Sene from Denitia and Sene, and Toby Pipes among others. Together, the roster of singer-songwriters fuse indie rock with electronic gems worth several replays. Our vision for this video wasn’t complicated. Ro James’ message is about trudging forward through the good and bad. For that reason, we wanted to have him be in an entirely empty area, with nobody around to be in his way. The song also has a cool bounce to it, so we wanted to it the visuals and the style to match. Ro has no problem being cool. denitia and sene. trip fall. We will only send you the good stuff. You can opt out at any time.